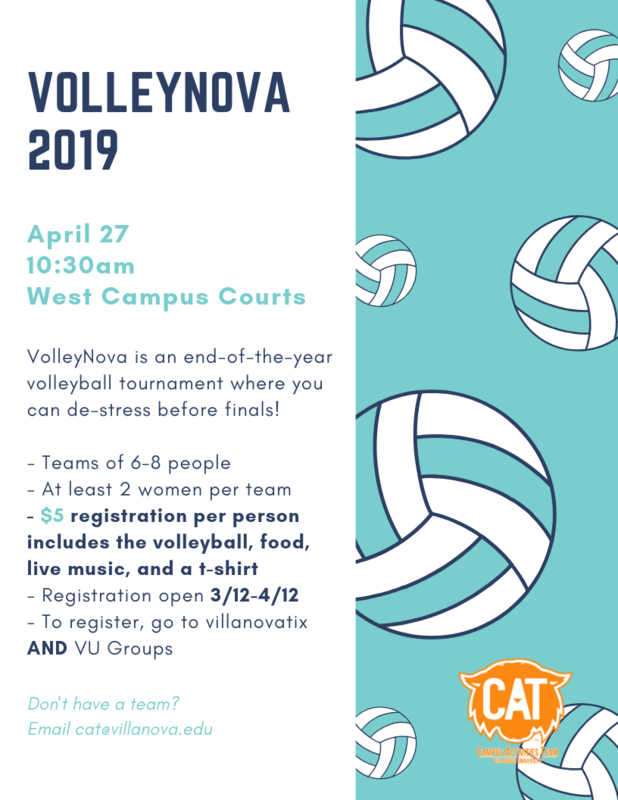 Want to sign up for VolleyNova and not participate in the volleyball tournament? The day will consist of volleyball, music, food, a free t-shirt, and more! Join us on Saturday, April 27 from 10:30-3:00 on West Campus. The event will happen rain or shine. $5 per person!